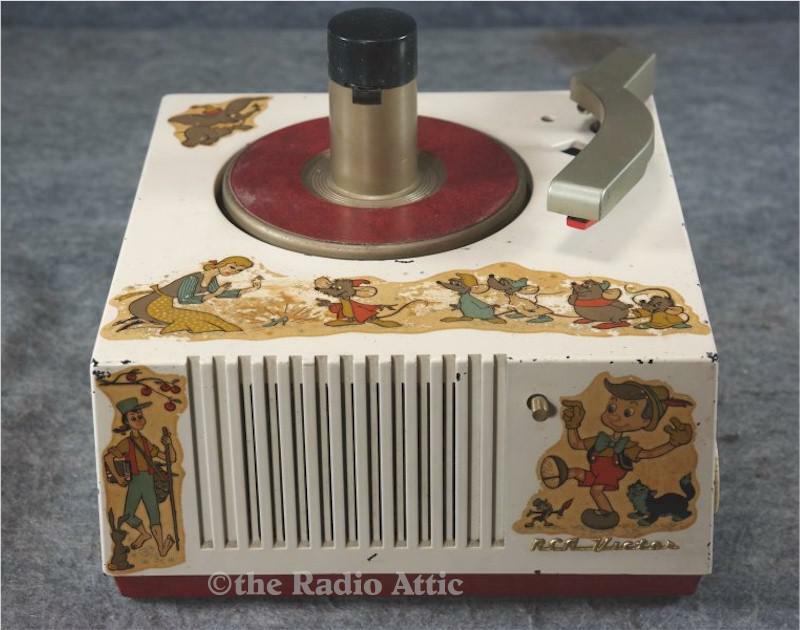 Here is a very rare record player with its Disney characters on it. The mechanism has been cleaned and lubed and it works good and sounds good. The amplifier has been restored also. The cartridge is a modern stereo wired for mono. The decals are in excellent condition and the paint has a normal amount of nicks. 9"W x 7"H x 10"D.
You are visitor number 1,161 to this page.